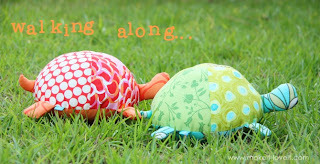 ``Shawkl``: Free Turtles...to a Good Home! Free Turtles...to a Good Home! 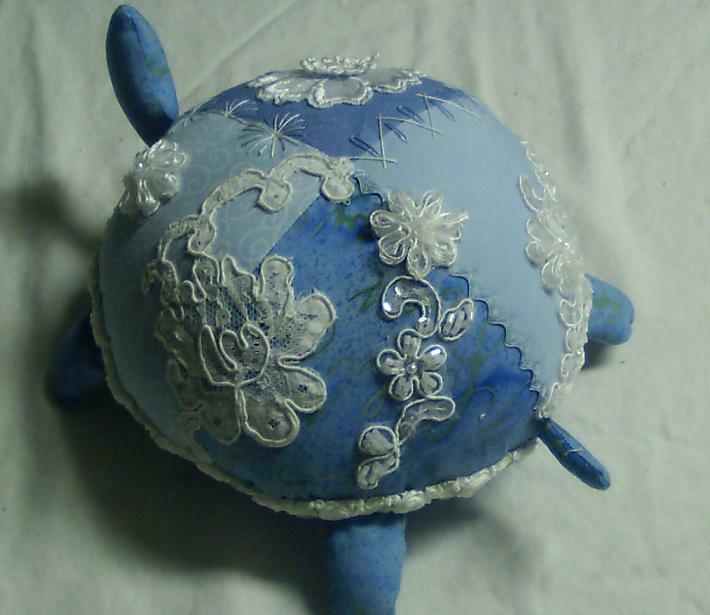 Look at this cute Turtle pattern at Make-It-And-Love-It blog! (photo posted with Ashley's permission). Wouldn't it be great done as a CRAZY quilt style! I'm loving it for sure and will be trying it soon!So, 'crawl on over' to Ashley's blog and get her free pattern and tutorial for making this little turtle! Okay, I could not wait...so here is my version in CQ! 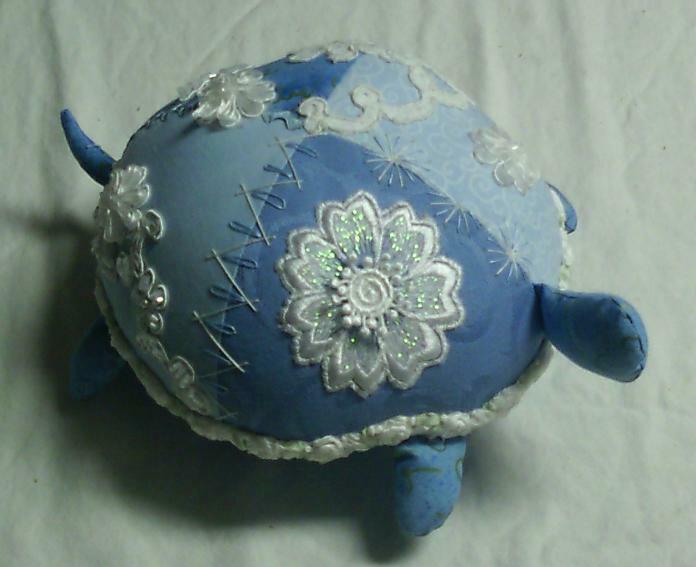 The embellishment was done AFTER the turtle was made. A little tricky, but not impossible. ..but, I'm not going to add beads...thinking I might use it as a pin cushion...or a gift?